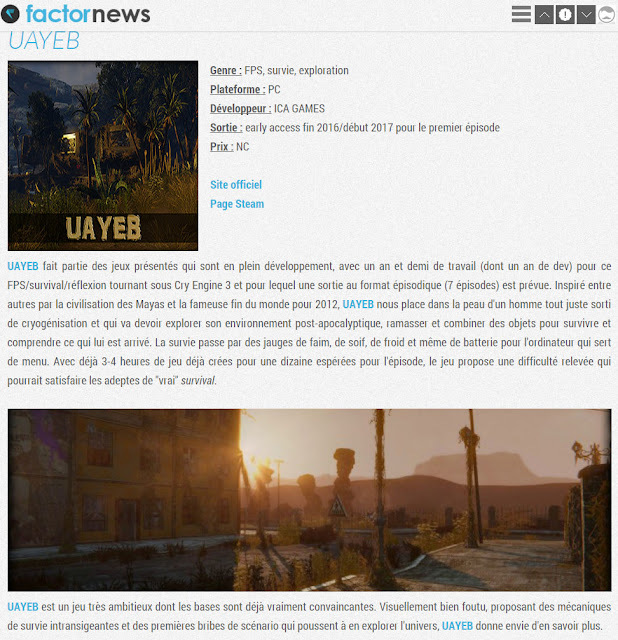 PR marketing company, to become partners for the coming titles. 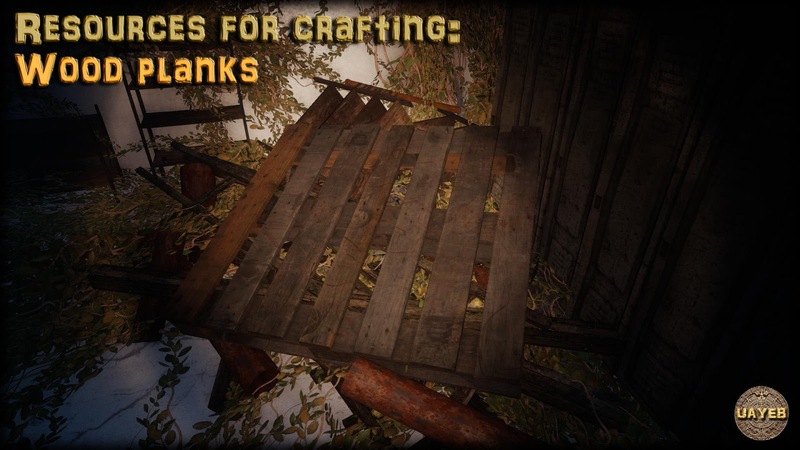 - Bug fixing: Correction of the "flying boat" bug. The boat will stay on the ocean whatever the graphic settings. 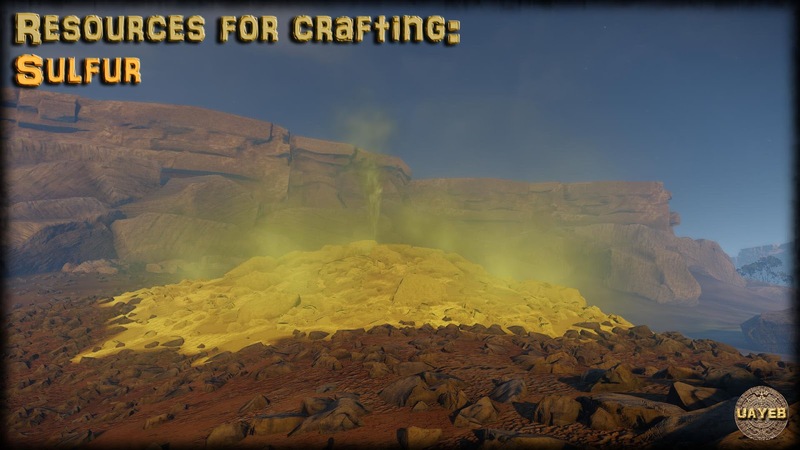 - Bug fixing: Correction of the potion bug when the effect was not disappearing. 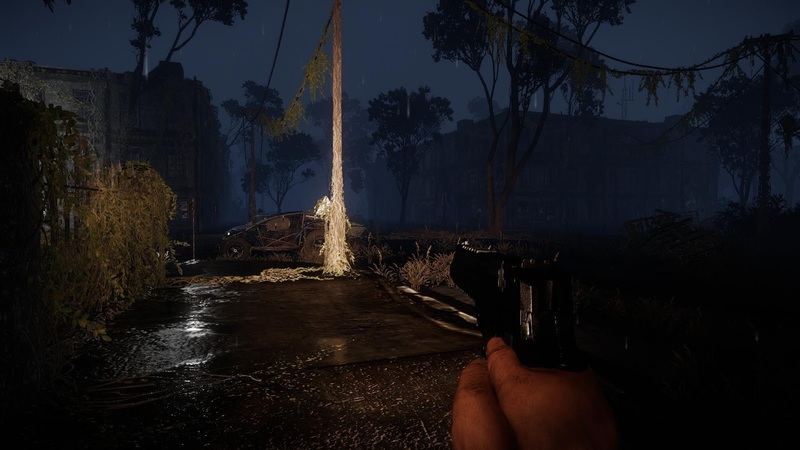 Many thanks to all the players feedbacks and recommendations on the game Steam page. (Small update on the episode 2: Already five levels are completed and I'm looking for a publisher to release the game as Early access). 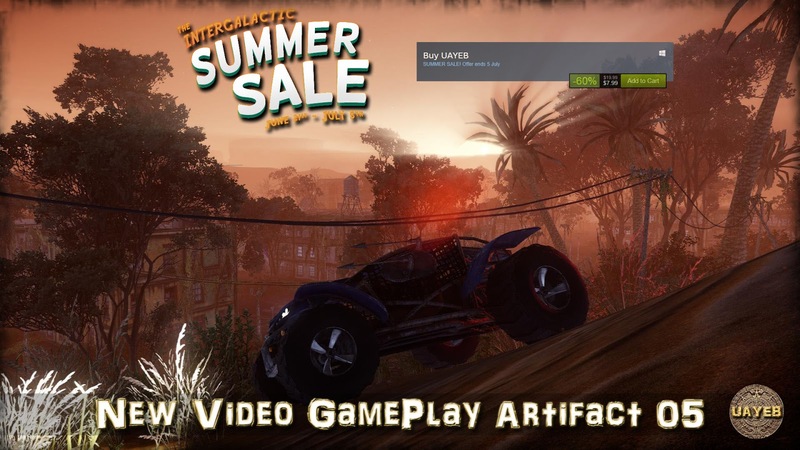 The 12th annual Steam Winter Sale has arrived! Enjoy great deals on thousands of games throughout Steam from now 'til January 3rd! 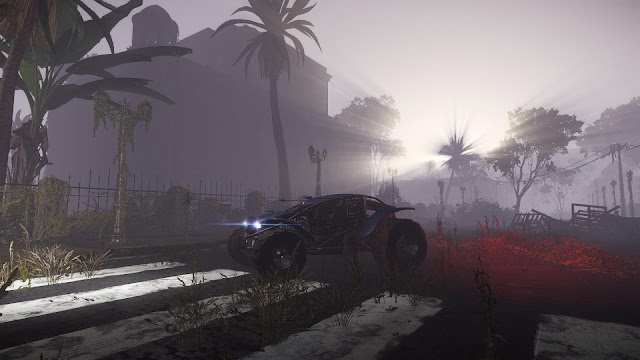 I have been helping out a bit on a great game called Heathen - The sons of law, which is releasing tomorrow the 19th of December 2018, in early access. I strongly recommend it to you! We are close to be one week before the launch of RDR2! 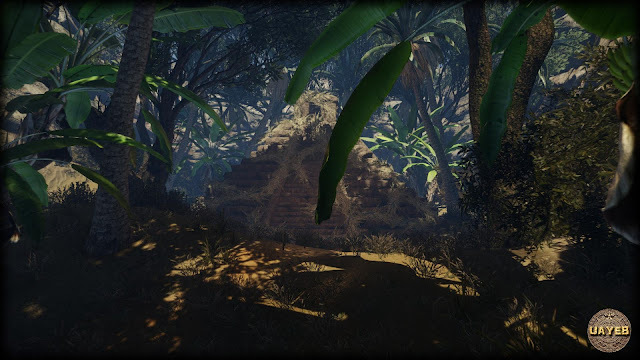 The Mayan Adventure / Survival / Crafting / Platform / Puzzle game. 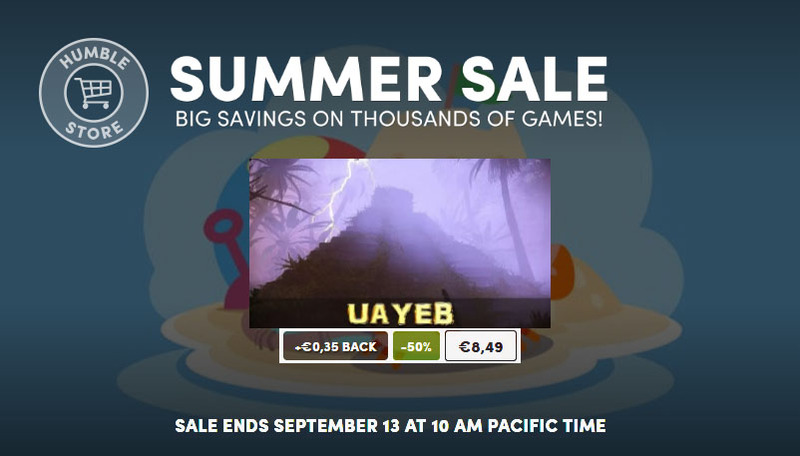 UAYEB -50% on Humble Bundle Summer Sale! Following on players feedbacks and queries, here is the list of changes. 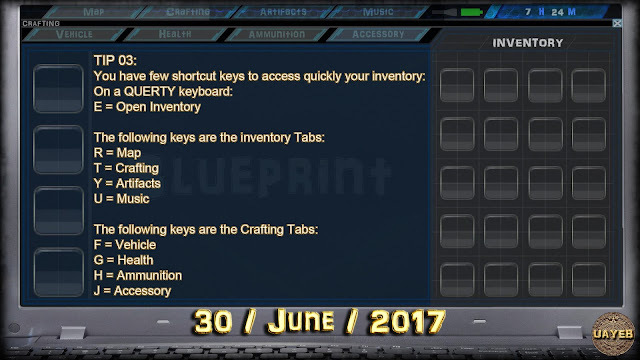 - Improvements: The list of saved game files are listed correctly from their date, in the Load menu (only on the new saved files from this new version V2.6). Many thanks to all the players feedbacks, support and recommendations. - Bug Fixes: The saving / loading crash issue is now fixed.The issue was not coming from the game but from the code of the Cryengine version. - Price: The game price has been cut down to $19,99 usd. - Improvements: Reduction of the collisions for the small rocks, so that the car will not be affected by them and the driving is now smoother. - Improvements: The F5 button is implemented for Unlimited Quick Save (saving anywhere) and the 40 saving slots are removed when sleeping.- Improvements: The aiming is not affected anymore by the breathing animation, so aiming is now more precise. 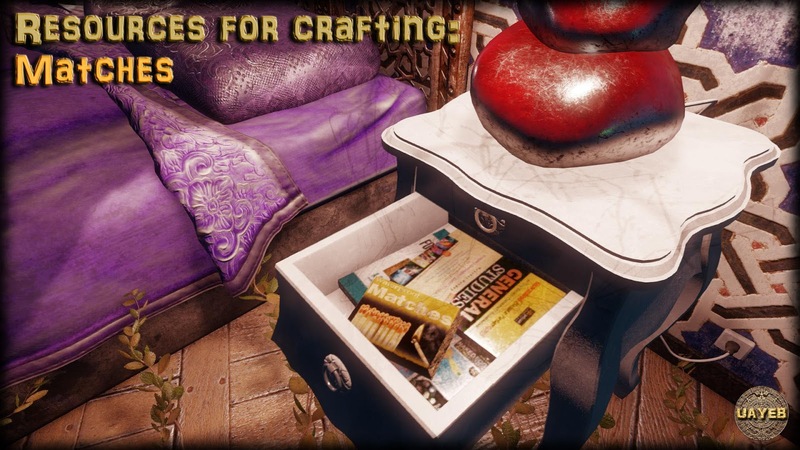 - Improvements: Drawers in Joanna's house are not accessible before getting the backpack to avoid confusion. 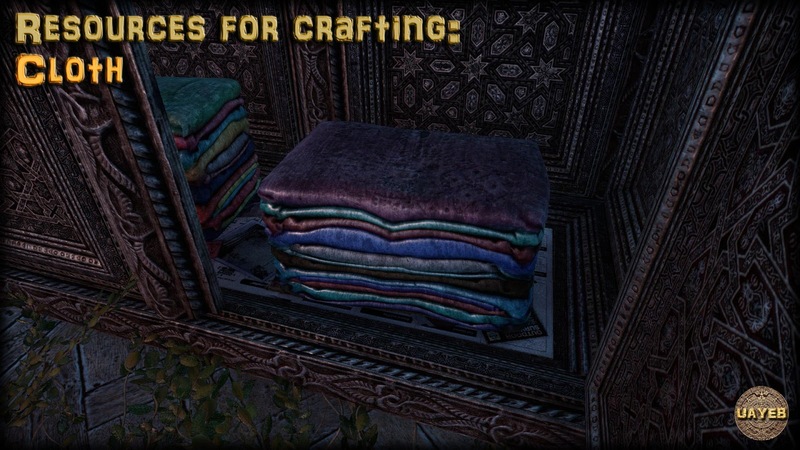 - Bug Fixes: The piece of paper in the kitchen doesn't respawn anymore once it has been taken. Games are not only made by developers but also by the players. 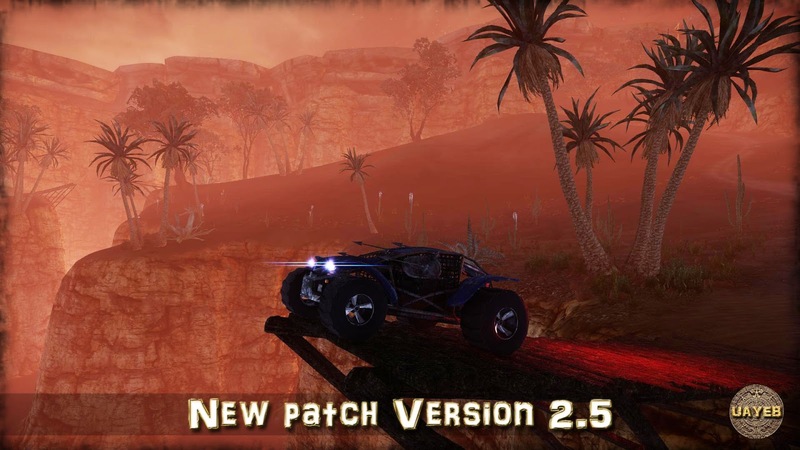 - Bug Fixes: The changes of the screen resolution in the graphic settings now fixed. - Bug Fixes: The Exit Game option from the main menu has changed and is it closing correctly now. - Bug Fixes: The Exit Game option from the ingame menu has changed, it goes back to the main menu. It may still take some time to close on slower machines but it is closing and exiting Steam properly. - Price: The game price has been cut down. 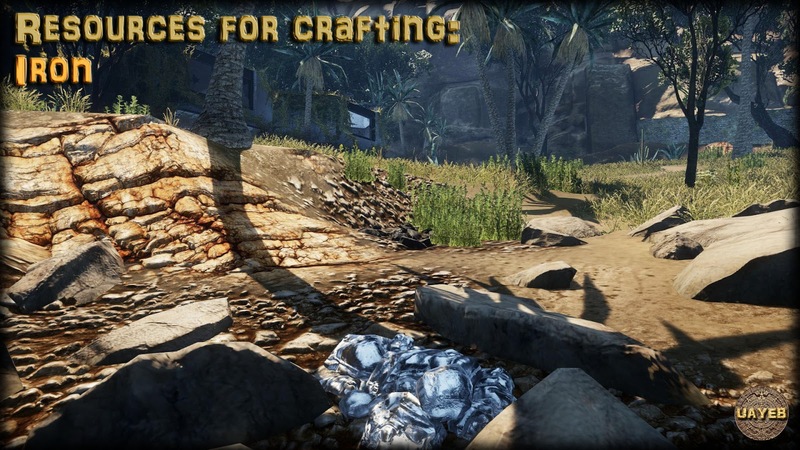 - Improvements: Objectives in the inventory are now updated with more informations of what to do. Especially at the beginning. 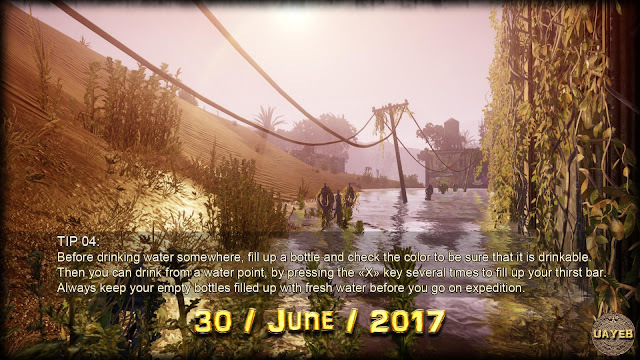 - Improvements: The hunger and thirst levels are going down slower than before. You won't die as quickly as before. 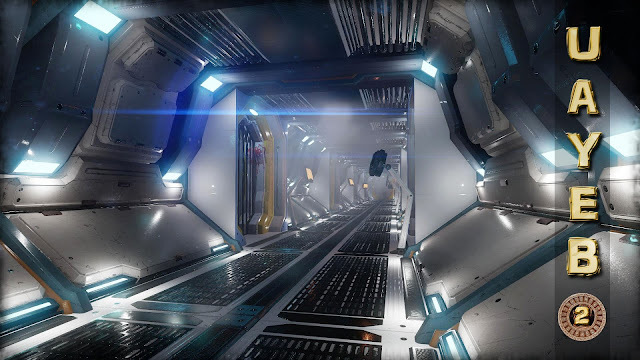 - Improvements: The stamina level is going down slower, and regenerate faster as before.You'll be able to run longer than before and to wait less time to rest. 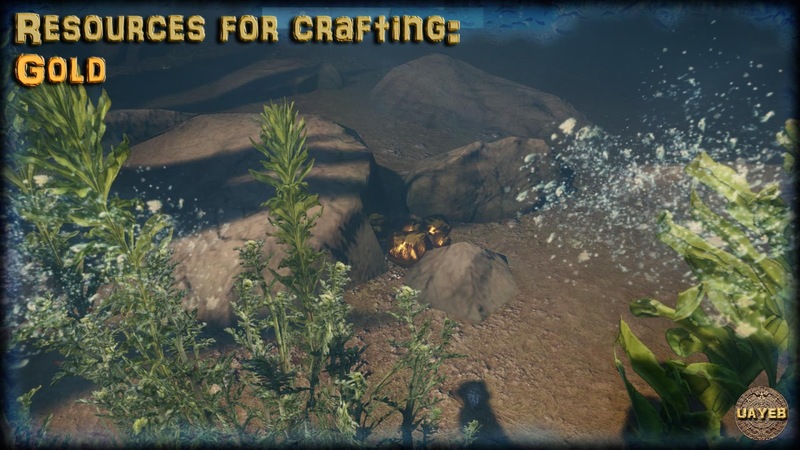 - Improvements: It is now two times faster as before to dig with the pickaxe. 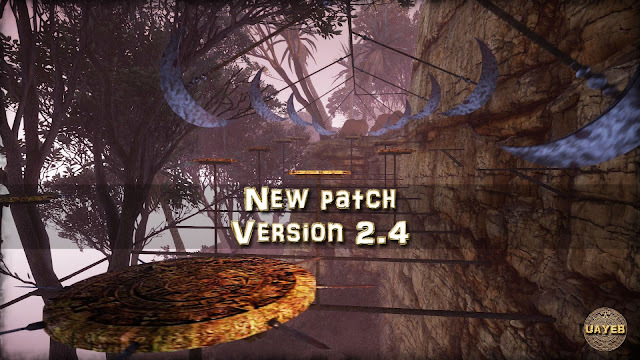 - Improvements: It is now two times faster as before to unlock a door. - Improvements: It is now two times faster as before to sleep. 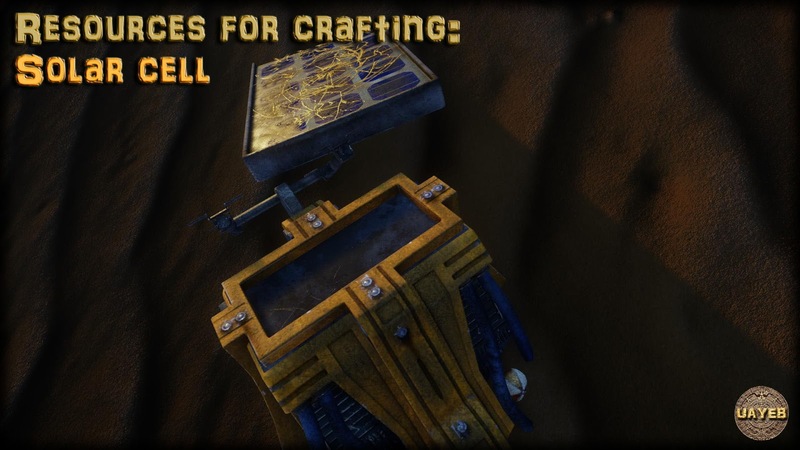 - Improvements: It is now two times faster as before to craft anything. - Improvements: You need far less carbon to craft the lockpicks. - Improvements: You need half less carbon to craft the car. 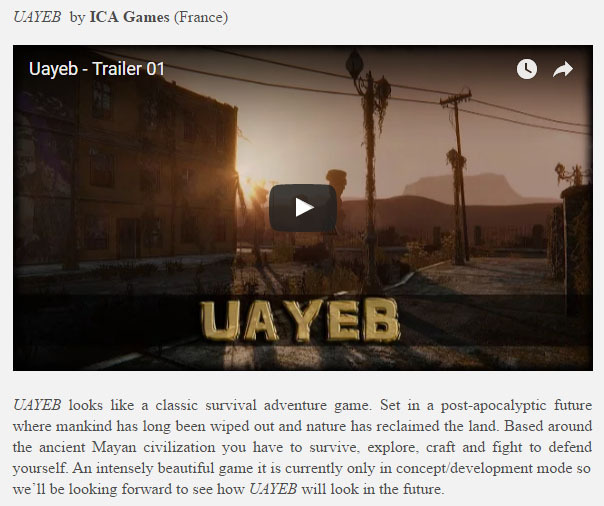 "UAYEB will make you think and keep you on your toes from the start. Give it a go now!" "I truly believe this game will take you a minimum of 50 hours to complete and I must say, it’s timpressive that it’s the work of one man." There is a new update today with this version 2.2. If you have already played the game on the version 2.0 or 2.1, your saved game files will still be working fine. 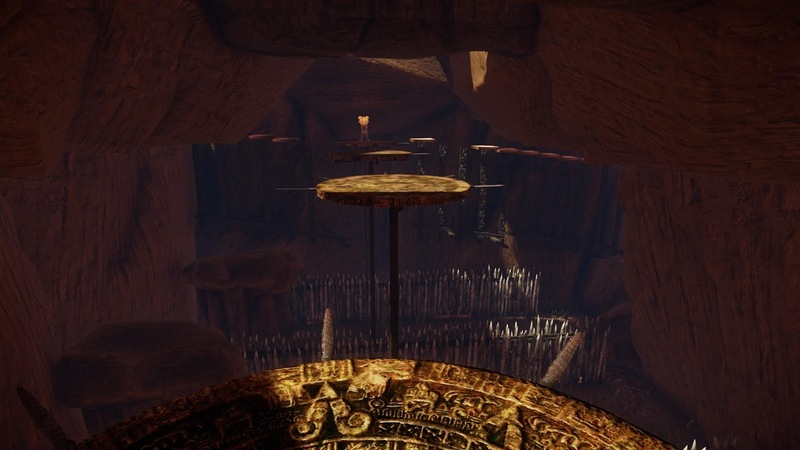 - Improvements: The difficulty has been reduced by changing in most cases the sword traps instant death, with instead 40% damages. 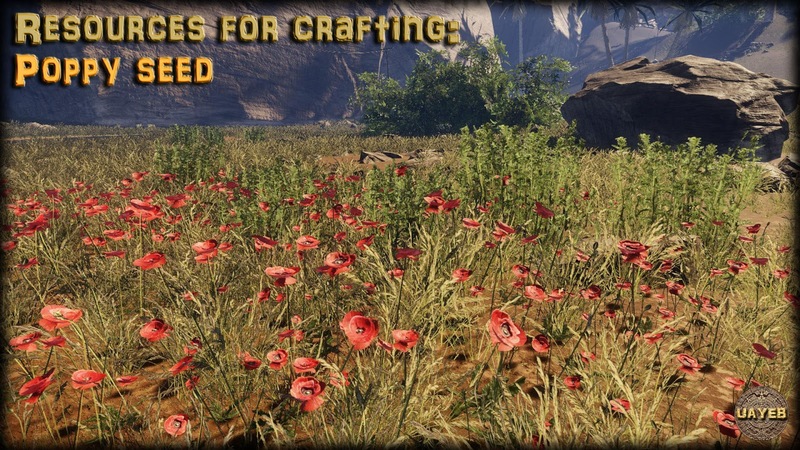 - Improvements: Main menu has now new nice background images. - Fixes: Slide bars in menus are not overlapping arrows buttons anymore. 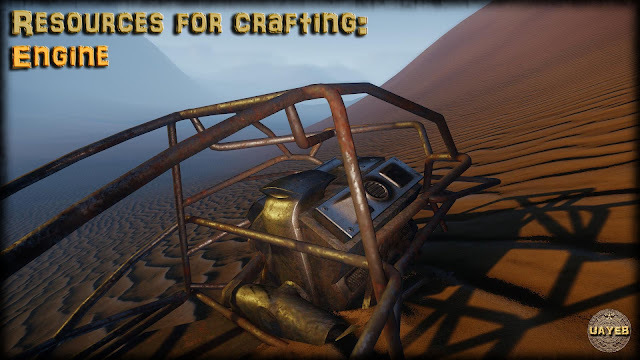 - Fixes: Weird vehicle ground sound playing after loading a saved game is not present anymore. 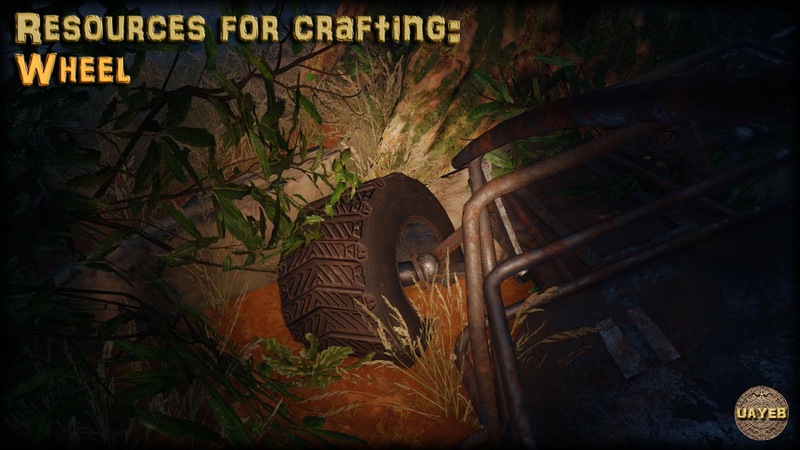 - Fixes: Overlapping vehicle ground sounds have been fixed. - Improvements: Audio bank has been changed to avoid crashing the game after many save/load. 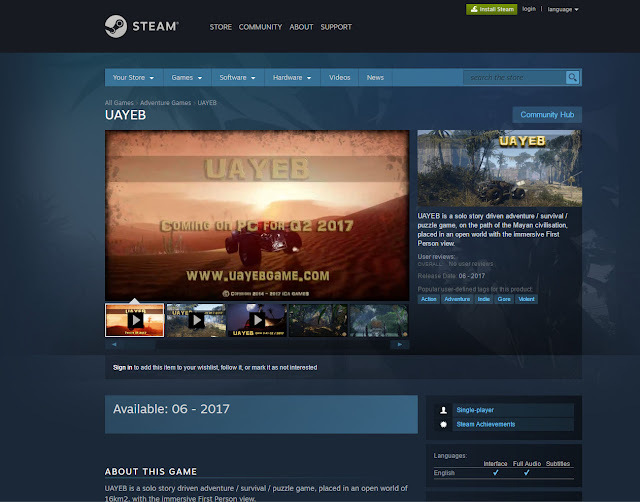 If you like the game, please support the project by making a recommendation on the UAYEB Steam page, share with your friends, add your comment and keep in touch in the forum. 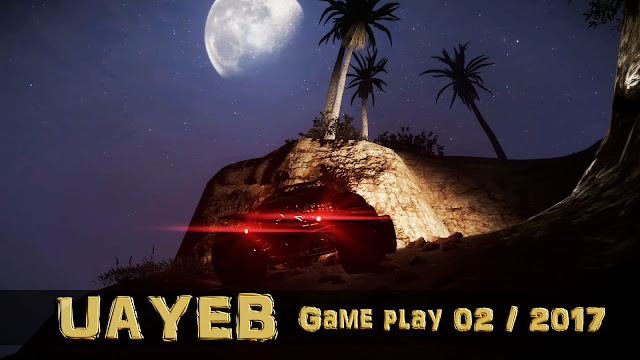 All your support and comments will be used to improve the game and will be very helpfull for making the UAYEB Episode 2. 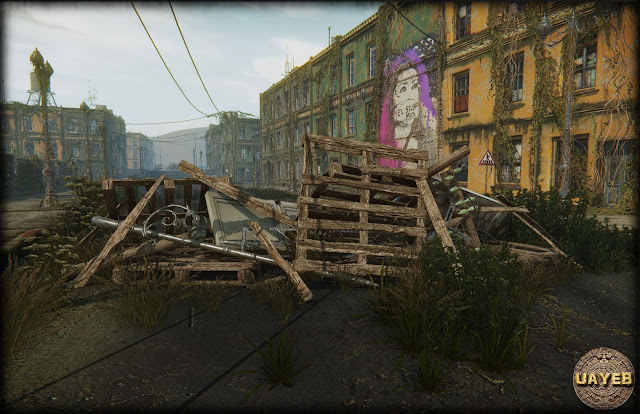 Big thanks to the Cryengine's team! 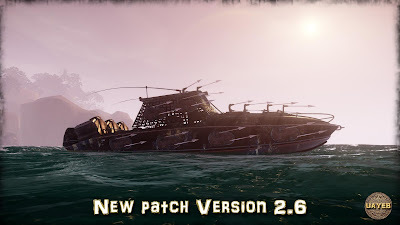 The version 2.0 is now available! Be aware that the saved files from version 1 will not be working on version 2, as it is a complete new version. If you have started playing on version 1, before starting a new game on V2, I would advise you to remove the "user" folder from your UAYEB root folder. You want to keep your progression from V1 to V2? No worries, yes you can! 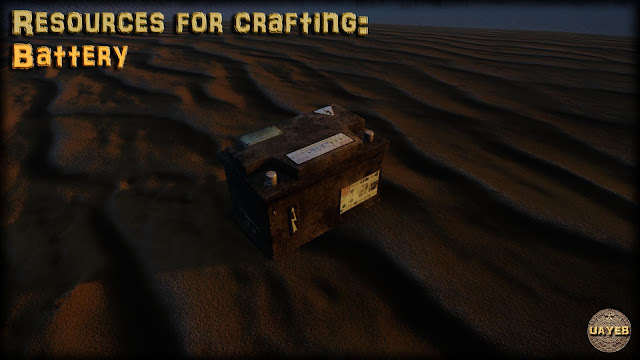 If you have started playing on version 1.0 and you want to keep on with the same progress on version 2.0, please fill up this form to receive your new save files by email. Thanks everyone for your support, comments and recommendations. No worries you can still keep your progression. If you want you can take a screenshot of your crafting resources inventory to receive the similar resources in the new files. 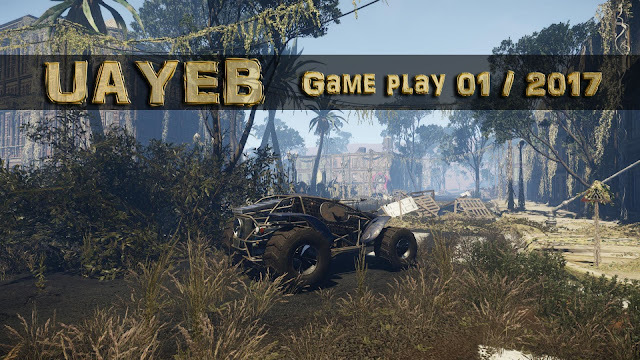 UAYEB EP01 is OUT NOW! 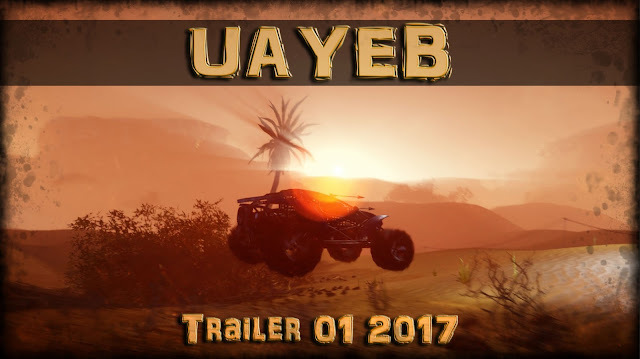 Finally after so much work, I'm glad to announce that UAYEB Episode 1 is now released on Steam! 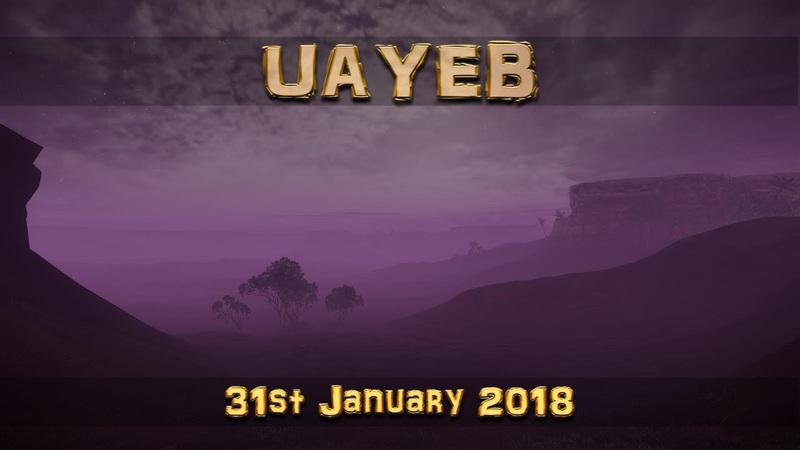 I'm glad to announce today the official release date of UAYEB Episode 1 for the 31st January 2018. 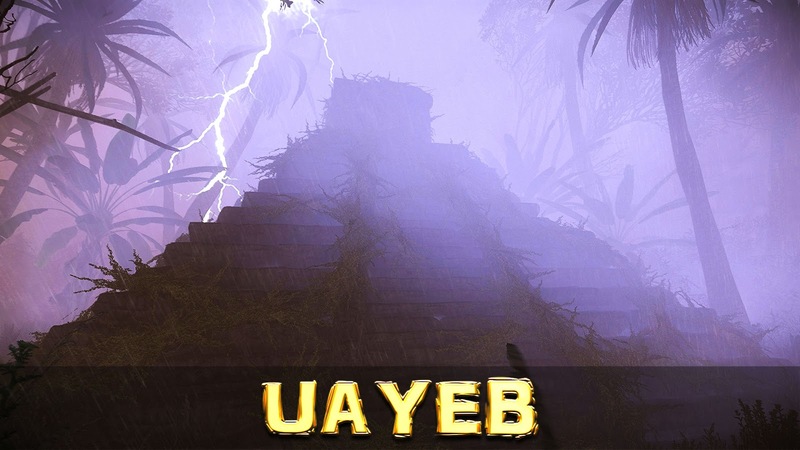 UAYEB is a solo Adventure / Survival / Crafting / Puzzle game, FPS view, open world of 16km2, in post-apocaliptic background, on the path of the Mayan civilization. I have replaced the Alpha version of the demo by the final free demo version. 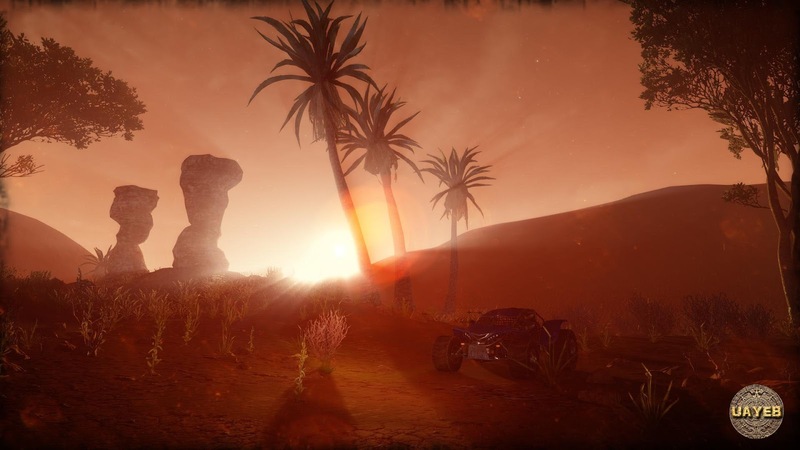 You can try the demo right now and explore the first steps of the game. Be prepare for a release of the full episode 1 in 2018. The date will be announced one week before. 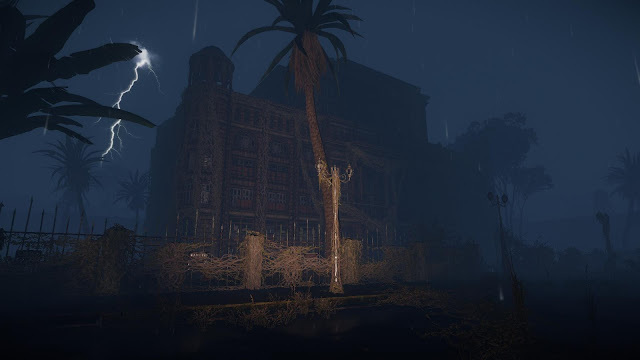 The good news is that the game is currently in Beta testing, so very close to be release. But as it is quite long to make a full playthrough, it takes more time to test and fix issues. This is why the game will not launch this week but will be postponed in few weeks later. At the moment it is the 30th of November but it could be sooner. I'll make an update with the final release date one week before knowing it. - Added 84 Steam Achievements. - Added 8 Steam Cards to collect. 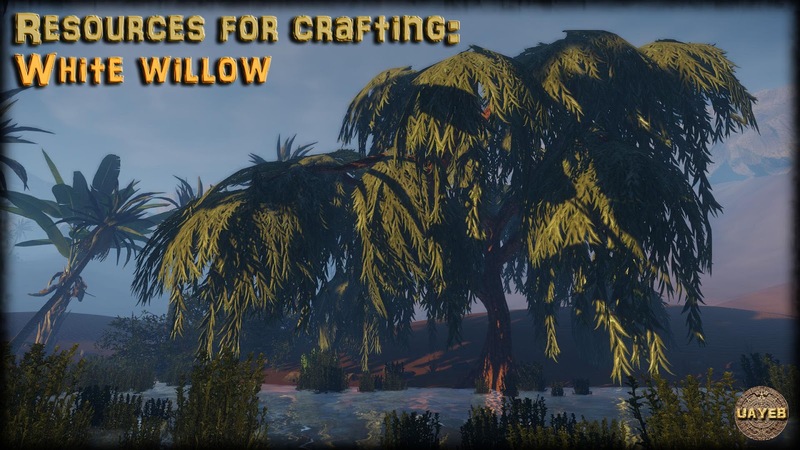 - Finished menus and loading screen. - Added storm weather system in the night cycle. 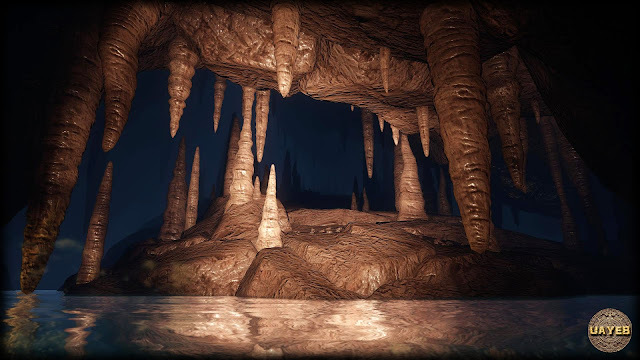 - Added water ripples on water in caves. 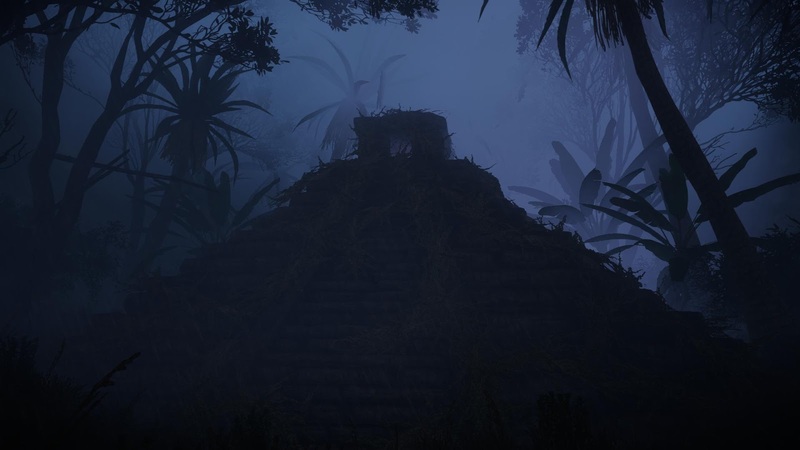 - Added more enemies on the map and in Mayan sites. 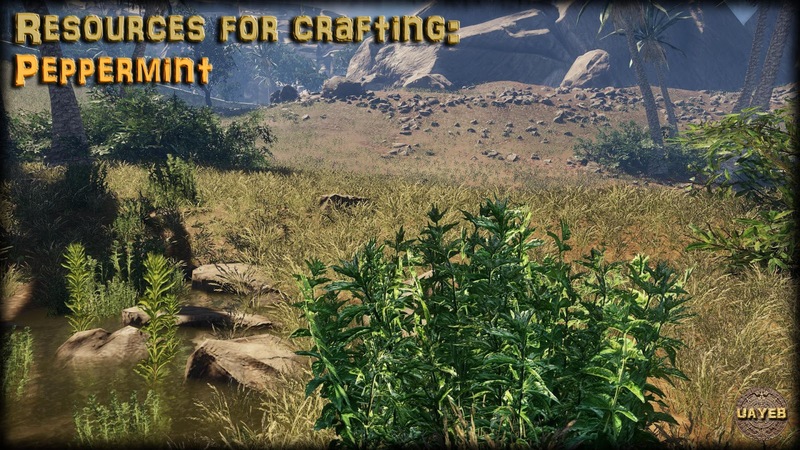 - Added mosquitos areas that hurt the player when collecting crafting ressources. - Added a teleportation button. 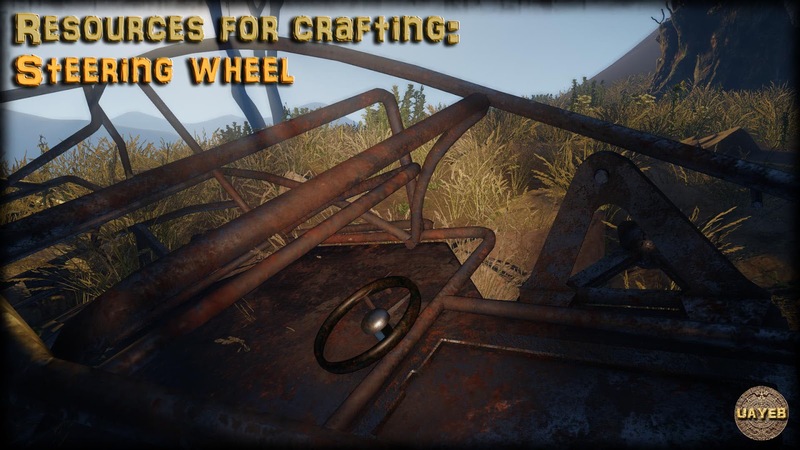 - Added vehicles respawn button. - Jump is changed to "press space bar". - Cold and warm blured effect is clear close to player to 10 meters aways, after 10 meters the vision is blured. - Added ice on screen when too cold. 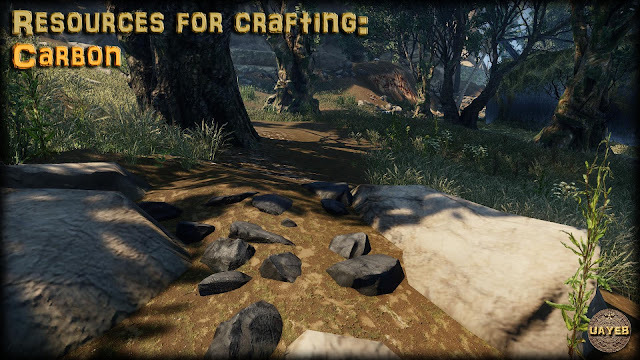 - Added many tutorial screens to help the player to understand the game mechanics and shortcuts, at the beginning and through the game. - Added ambient sounds in different areas. 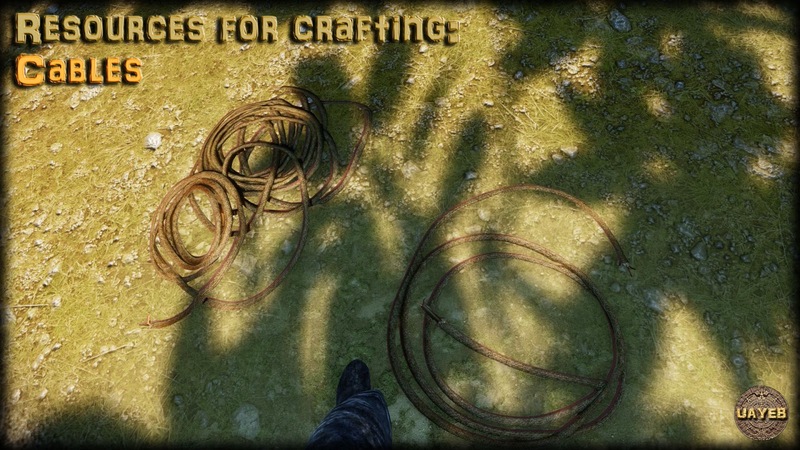 - Adjustment of the crafting elements. - Adjustment of the survival elements. - Testing and bug fixing. UAYEB is an indie game made by only one person, thank you for your understanding and for your support. Thanks for all your feedbacks on the demo. A lot of things will be changed in the game thanks to you. This is why the decision was taken to delay the release date until September. These extra months will be used to polish the game to bring you a better experience in UAYEB. 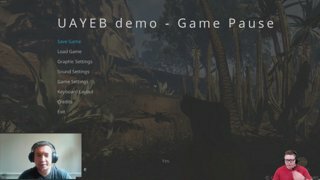 Video with the UAYEB Developer to show you 27 minutes of the game. 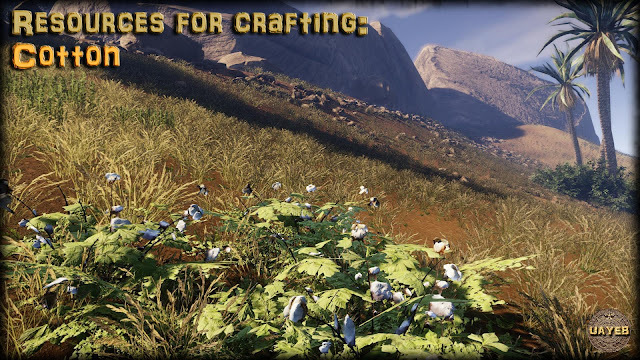 Big thanks to Diego Zuluaga, Herald Silvestre, Meet The Devs & Casual Connect teams for their support. Before drinking water somewhere, fill up a bottle and check the color to be sure that it is drinkable. Then you can drink from a water point, by pressing the «X» key several times to fill up your thirst bar. Always keep your empty bottles filled up with fresh water before you go on expedition. 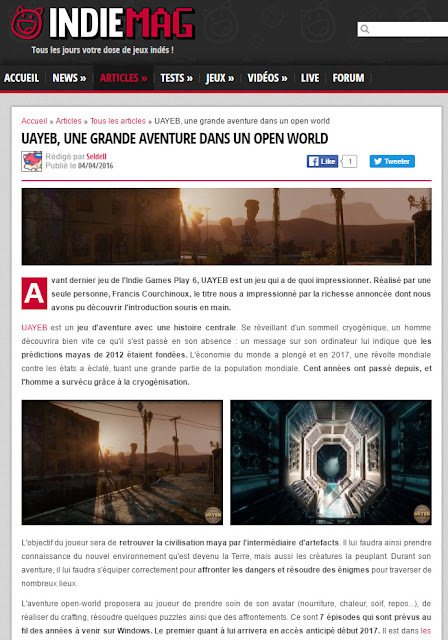 A big thank to Xavier Rousselle, founder and director of Isart Digital - Video game and 3D VFX Film School, for its incredible comments and compliments on UAYEB graphics. A big thank to Masatomo Tajima, Sound designer on many great games (Resident Evil 6, Lost Planet 2, and many more), for its amazing comments on UAYEB sound design. 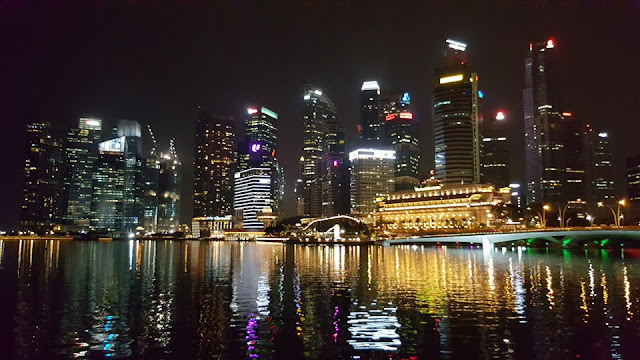 It was a great pleasure to meet you all at Casual Connect Singapore and it was incredible to hear your compliments. When your stamina level is down, stop runnning or you will lose health. The warning red icon on the bottom left of your screen will show you when to stop pressing the Shift key. 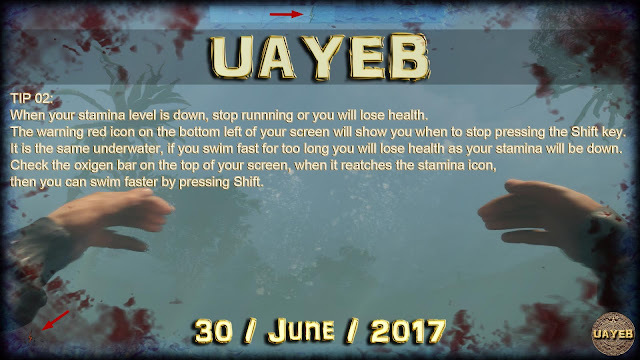 It is the same underwater, if you swim fast for too long you will lose health as your stamina will be down. Check the oxigen bar on the top of your screen, when it reatches the stamina icon, then you can swim faster by pressing Shift. The bad news is that you will die a lot. The good news is that you will manage your progress yourself, and you will be able to save anywhere at any time. F5 is the Quick Save key in the game. 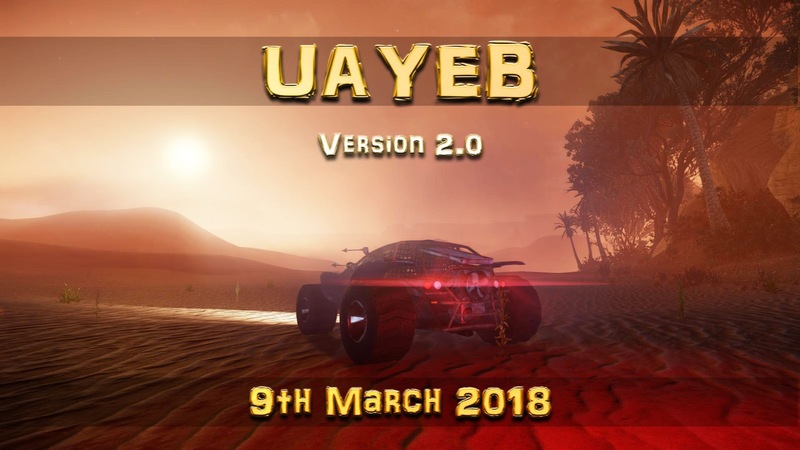 The UAYEB free demo is now available on Steam! 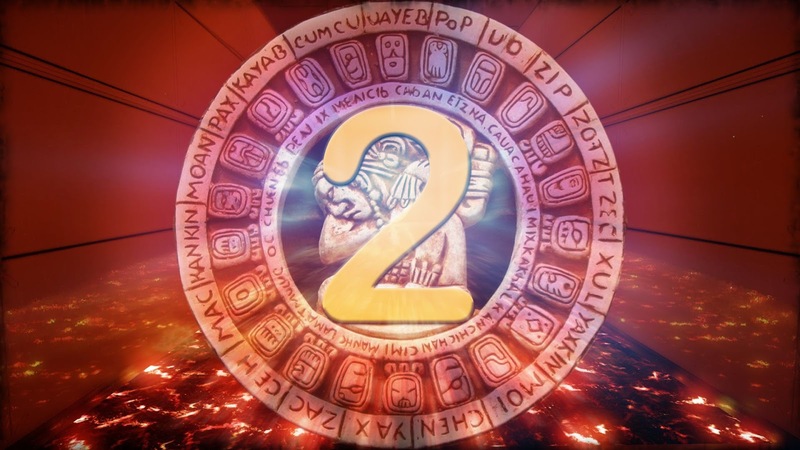 You will play 2 to 4 hours of the begining of the game, with puzzles, exploration, a bit of crafting and you'll try to find the first Mayan artifact in gold, avoiding deadly traps. The full game will be around 20 to 30 hours of game play. 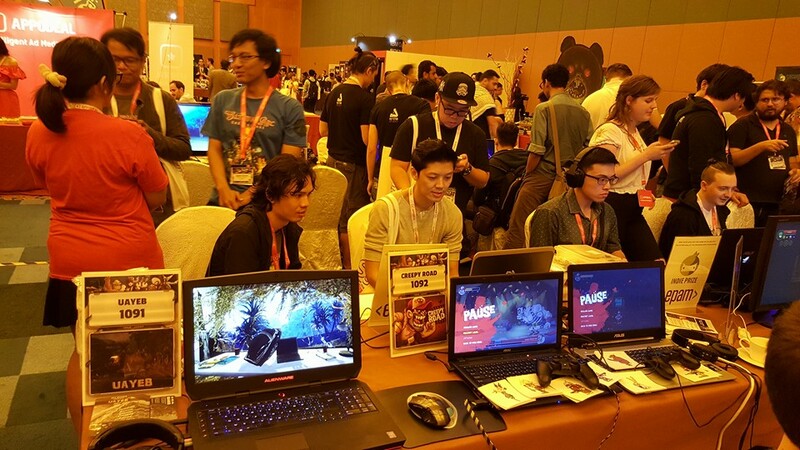 UAYEB Developer interview at Casual Connect Singapore May 2017. Thanks to MeetTheDev and Casual Connect. It was a pleasure to show you live the first steps in UAYEB. Watch UAYEB live on Twitch with the developer, on Wednesday May 10th, 1pm Paris Time (European Central Summer Time). 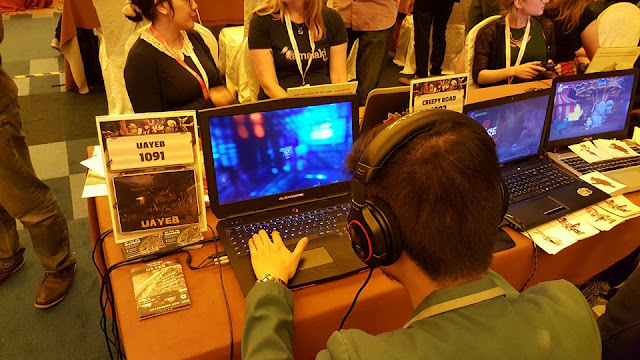 Come to Casual Connect / Indie Prize Asia 2017 in Singapore, to play the Beta of UAYEB, on the 16 - 17 - 18 of May (HardRock Hotel, Resorts World Sentosa). 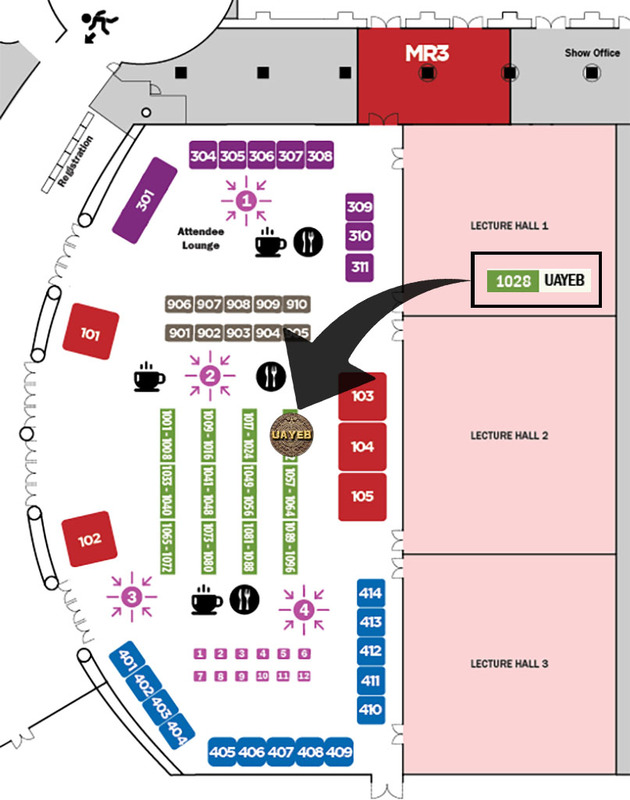 We will be at the place number 1028 to welcome you! As you probably know, UAYEB is developed by one person only and thus on only one computer. The reason for that is purelly a lack of budget of course. A bad thing has happened yesterday, something in the computer burned and it is compromising the release of the game for June 6th. Fortunately all the game files are safe on a backup hard drive, but to finish and polish the game I will have to make a loan to buy a new machine and reinstall all the needed programs. So I prefer to delay the release date to deliver a clean and polished version of the game. I hope to be able to have the final version at the end of June, just few extra weeks that were lost due to the computer failure. 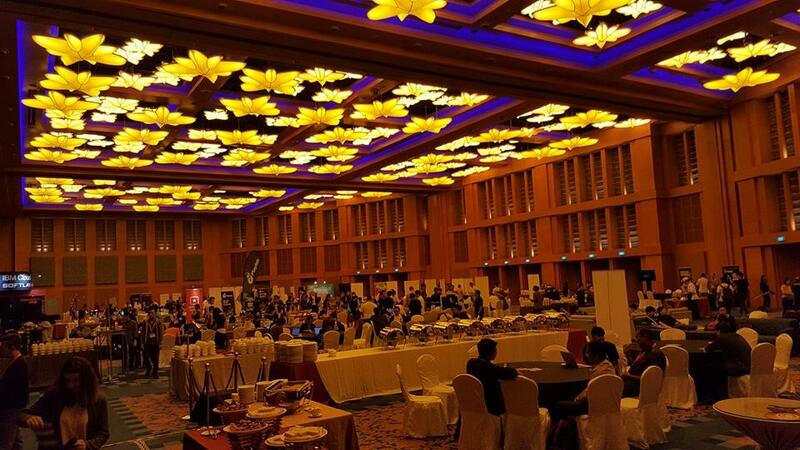 The Beta version will still be playable at Casual Connect / Indie Prize Asia, the 16 - 17 - 18 of May in Singapore. Help us with a small donation here. 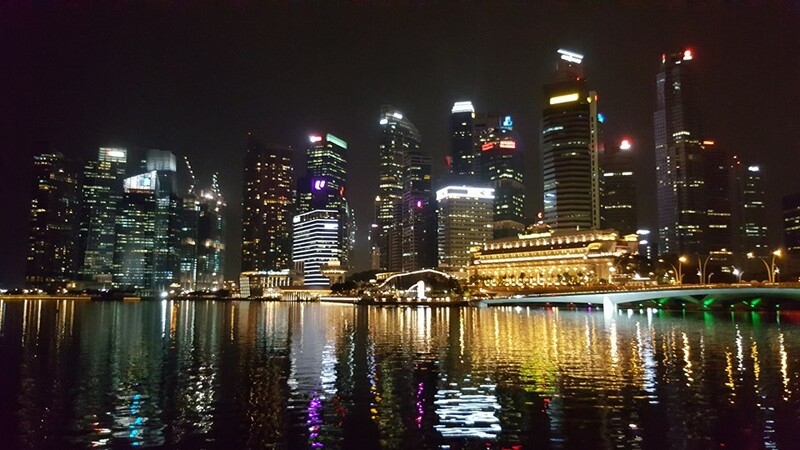 Thank you and keep in touch. I'm really glad to announce that you will be able to play the Beta of UAYEB at the Indie Prize / Casual Connect exhibition in Singapore, on May 16, 17, 18 2017. UAYEB is now in Alpha! All the content of the game has been implemented and now it is moving into debugging and polishing. 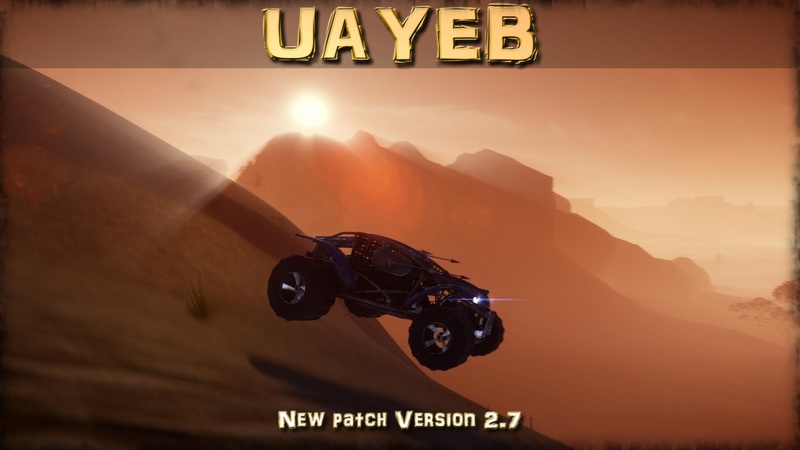 UAYEB is now on the Steam store! Few months more and the game will be released. We need your support on KICKSTARTER! Choose your reward, ask a question, add your comment and share the campaign. 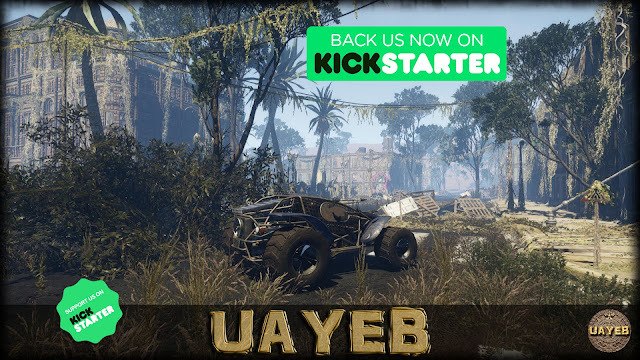 UAYEB has launched its first Kickstarter campaign! So you can be part of the project NOW! UAYEB has been greenlit in only 15 days, by Steam and by YOU!! Big thanks for your huge support! 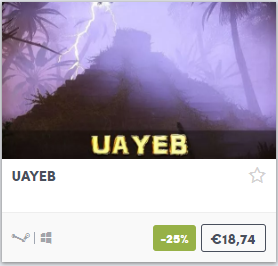 UAYEB is alreary in the Top 50 on 2296 games on Steam Greenlight, in only 8 days! So thank you everyone who voted YES and thank you for the nice comments! Keep on sharing the news with your friends. To thank you all, here is a new game play video of 9 minutes. Have a look to 8:37 minutes of UAYEB game play! The next milestone will be a Kickstarter campaign to help on the promotion of the game in the Indie games events. Don't forget to vote yes for the game and add a comment if you like it. I'm glad to annonce that the release date of Uayeb Episone 1 is planned for Q2 2017! 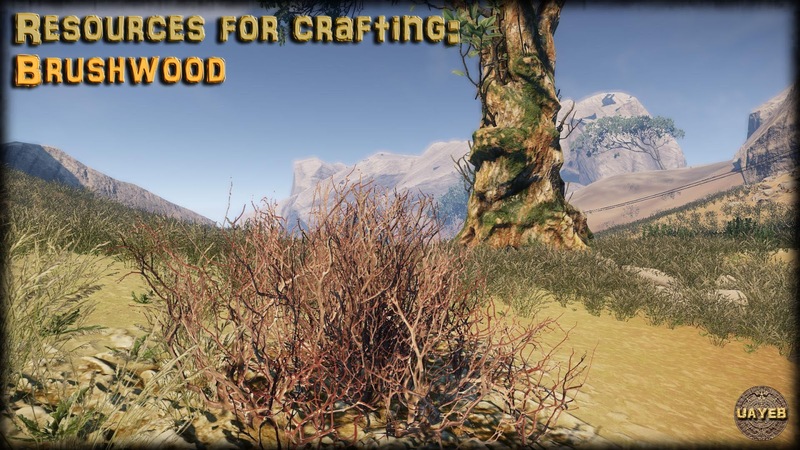 Vote UAYEB for the Indie of the Year Awards on IndieDB! 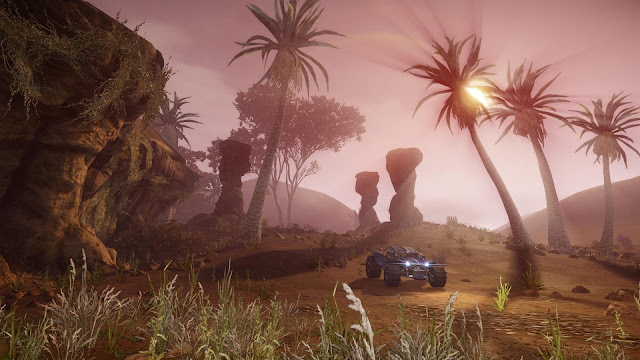 Check out the 8 new screenshots taken from the game! The next update will be a video with a release date! 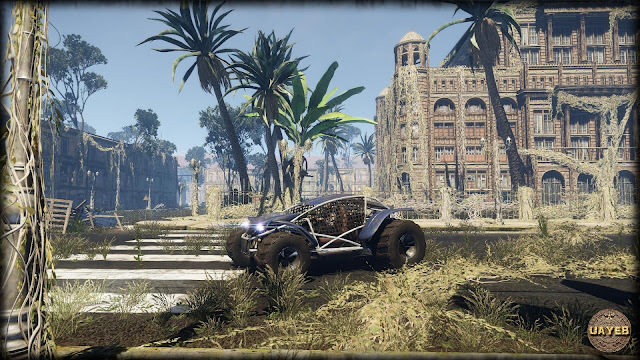 Development is going well and it is on tracks. More content and gameplay are implemented to the game, to bring the best experience to the player. 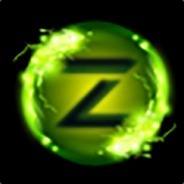 The Team page and the forum have been updated. 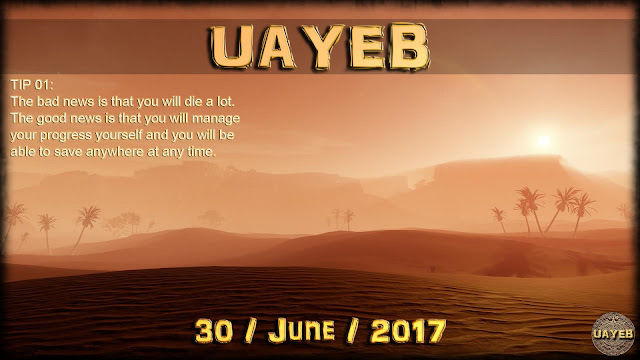 It was quite a while since the end of May, that I didn't update anything on UAYEB. It's actually good news, and it means that a lot is going on in the game! 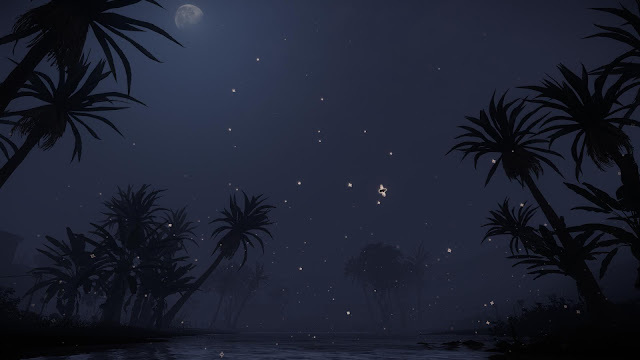 If some of you are waiting for the game, here are 10 fresh new screen shots, to thank you for your patience. 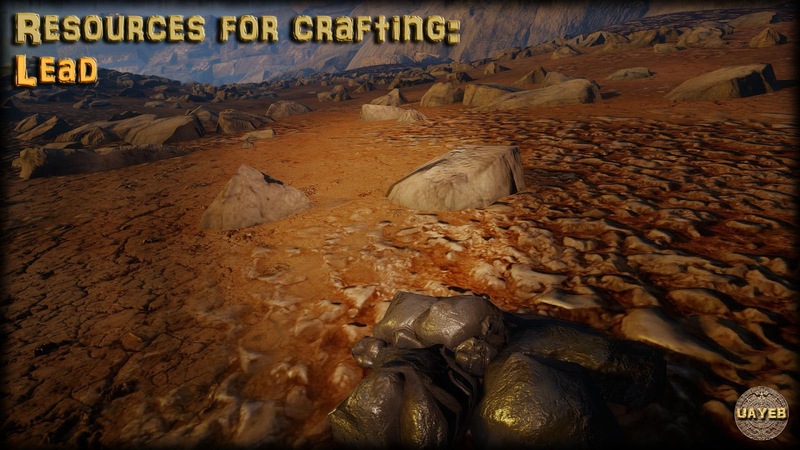 There are still a lot to do for only one person making the game, but it is on a good way. In the coming months I will be focusing in adding as much content as I can to deliver to you the best experience in Uayeb Episode 1. Hopefully I'll be able to reach more than 20 hours of gameplay! 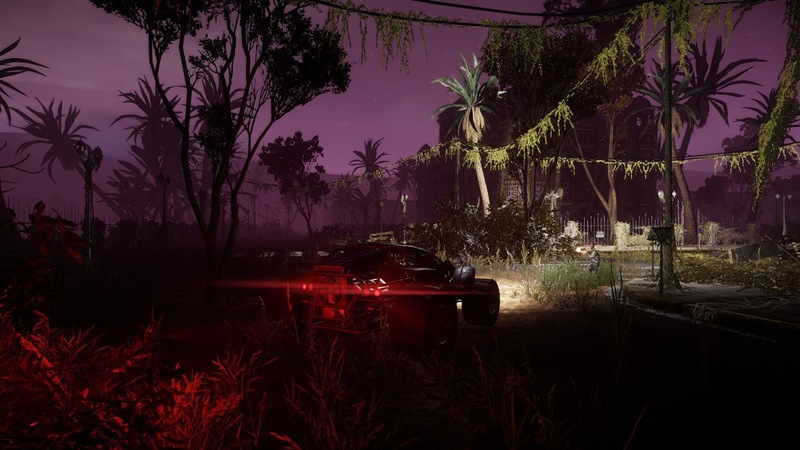 To support the project, please share as much as posible, like the Facebook page, subscribe to the Youtube channel and follow the game on Steam Concept, and don't forget to vote Yes on Steam! 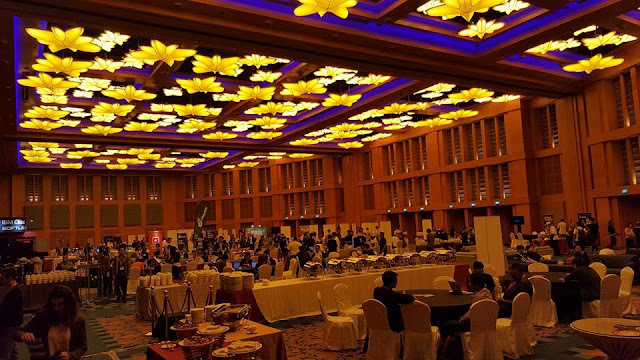 A new article on Unpause Asia: 10 Stunningly Gorgeous Indie Prize Games at Casual Connect Asia. The exhibition in Singapore was really great! Thanks a lot to the Casual connect and Indie prize teams. Thanks to all the people I have seen there, it was very nice to meet you all and to talk to you. 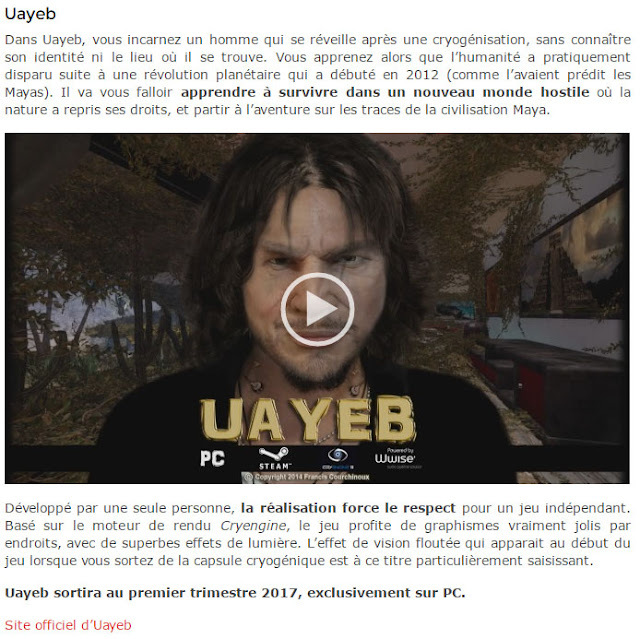 It was a real pleasure to show you my game Uayeb and to listen to your nice comments. 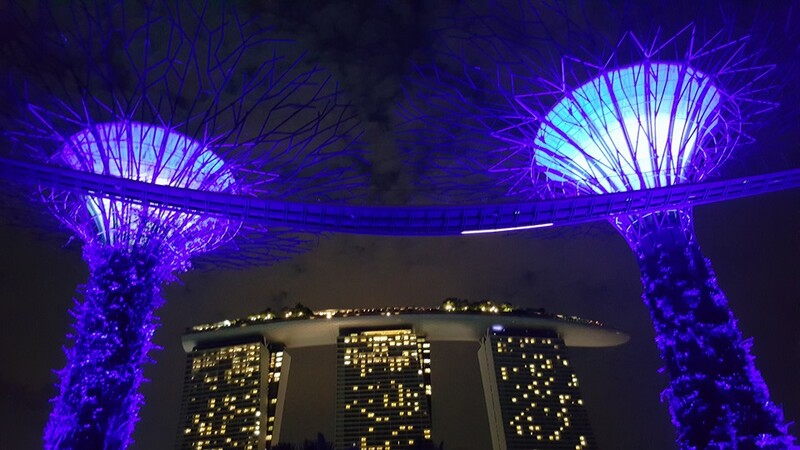 I'm glad to announce to you that UAYEB has been selected to be presented at the Casual Connect Asia exhibition, from 17 to 19 of May 2016 in Singapore! 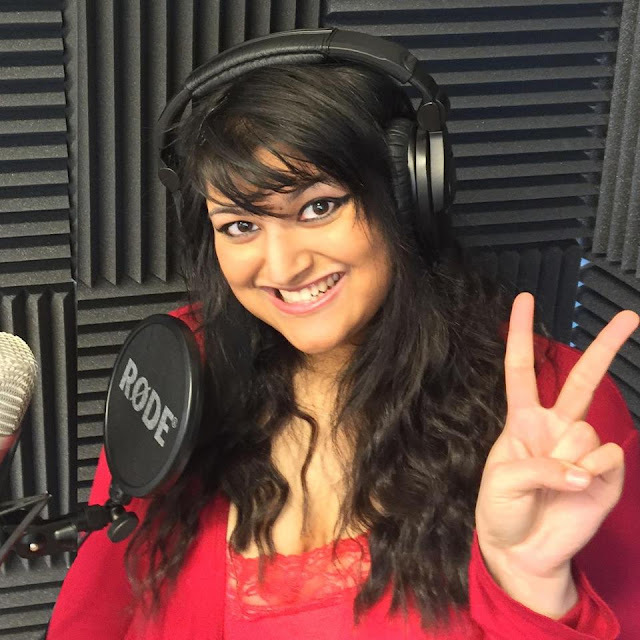 Two fantastic actors are doing the voices on UAYEB! 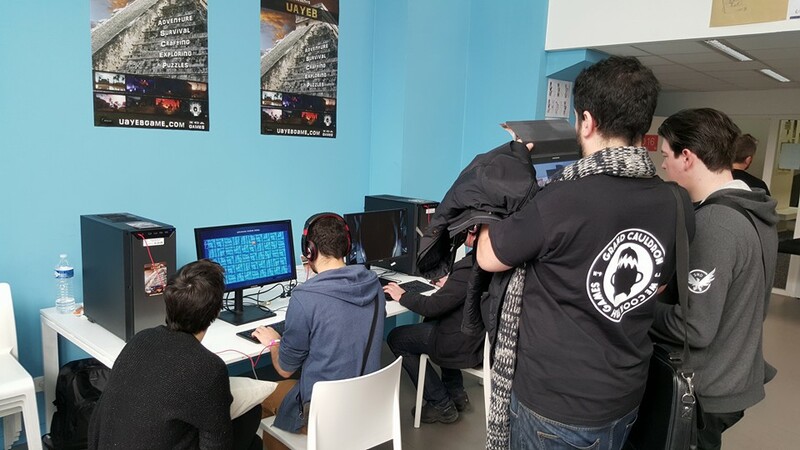 Thanks to everyone who came at the Indie Games Play 6 last saturday! It was very nice to meet you, and to talk with you all. Keep in touch for more on UAYEB! New screen shots were added, check out the Screens page! 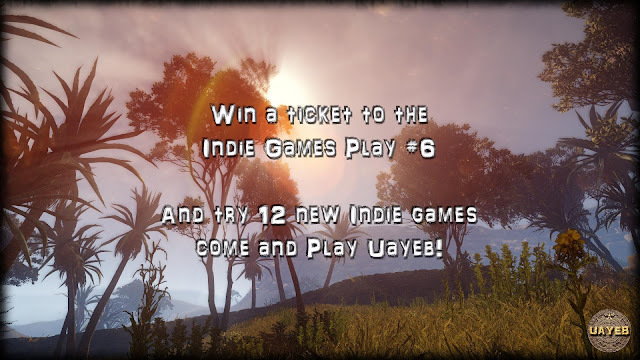 Answer one question and WIN a ticket to the Indie Games Play #6 where you will play UAYEB! 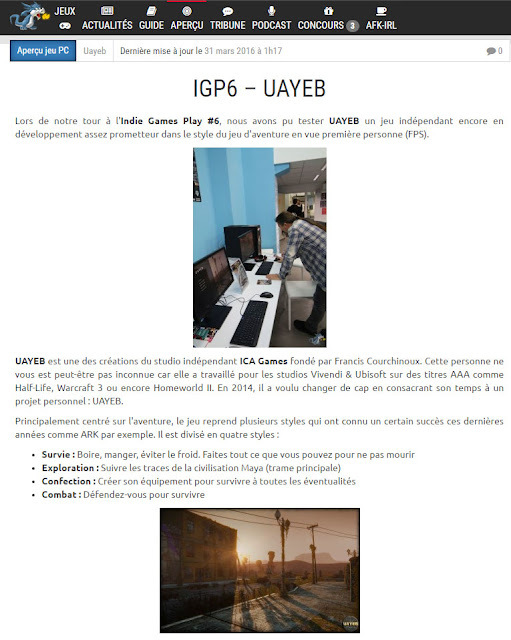 UAYEB is selected to be on the Indie Games Play #6 exhibition, the 25th and 26th March in Lyon France. 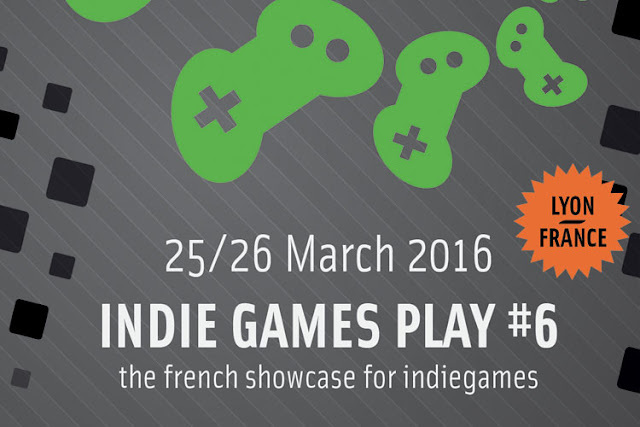 13 indie games will be presented to the press on Friday and to the public on Saturday. Hope to see you there! 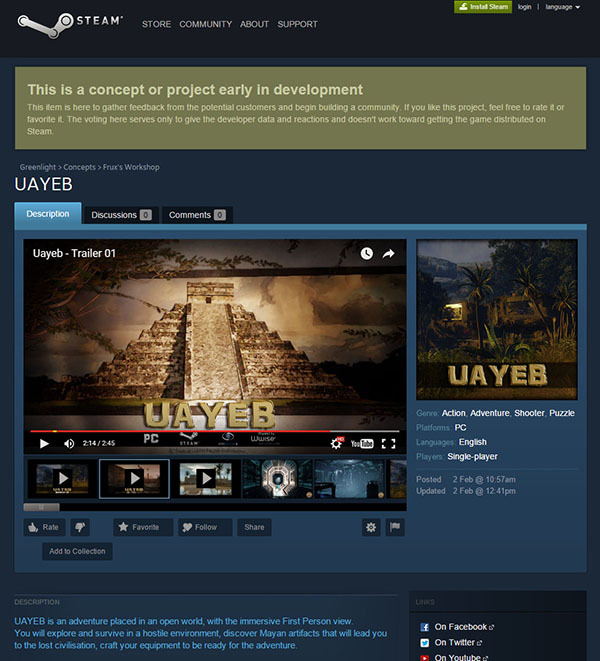 UAYEB has its Concept Page on Steam Greenlight! The second gameplay video is available! All the video are on the video page. The first gameplay video is available now! 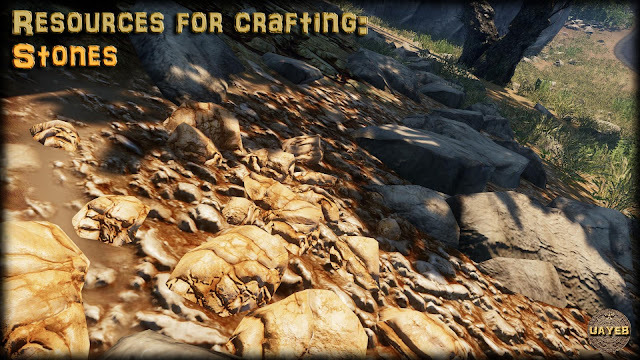 New screen shots were added in the Screens page, check them out! 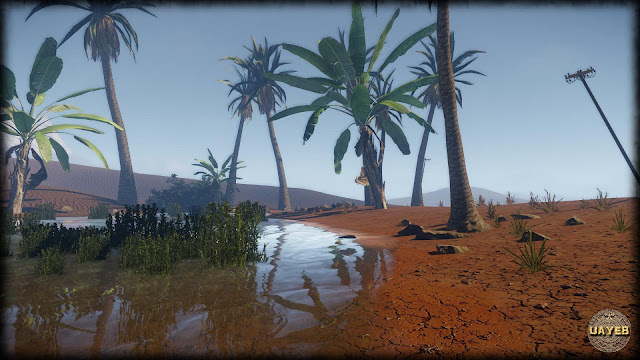 Uayeb is an adventure game project under development. 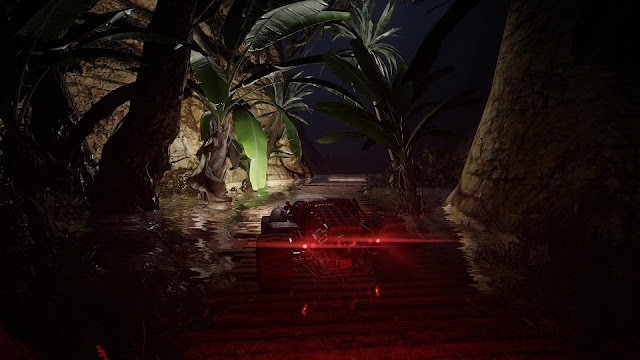 Before going into production, this prototype was done to provide a clear vision of the game, what is the feeling to be in that world, what is the artistic direction to follow, and the understanding of the Cryengine for the development. 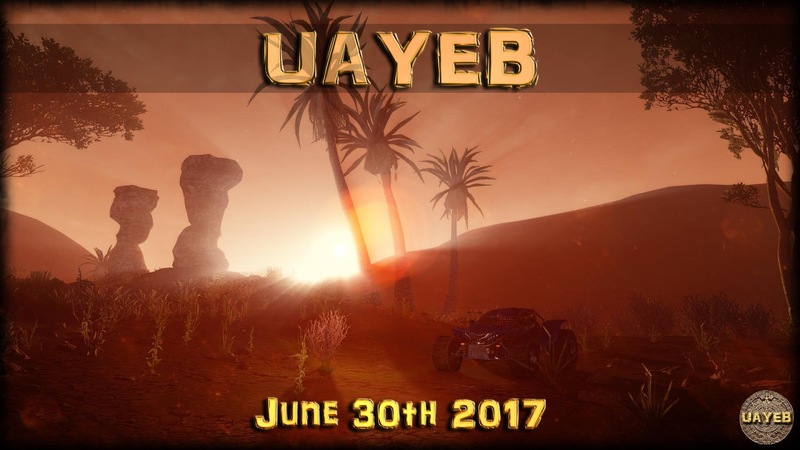 Production has started now on UAYEB! 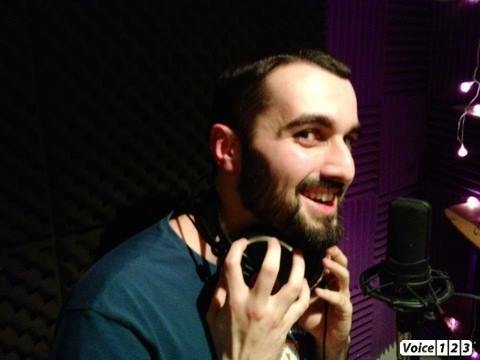 Pre-production has started on the project UAYEB. Working on a prototype.